Grep Tech (Cambodia) Co., Ltd. is a wholly owned subsidiary of Grep Tech Pte Ltd. Established in August 2016 in Phnom Penh, Cambodia. 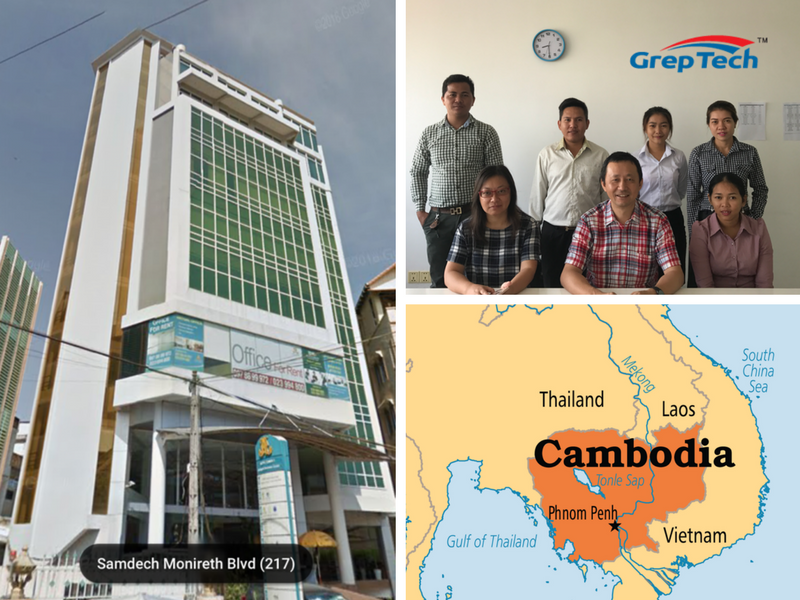 Grep Tech (Cambodia) is ready to service Cambodia SME (Small & Medium Enterprise) to harness the mobile marketing technology to enhance their market competitiveness and operation efficiency. Please contact us to find our how we can help your business to be more profitable as well as more efficient.